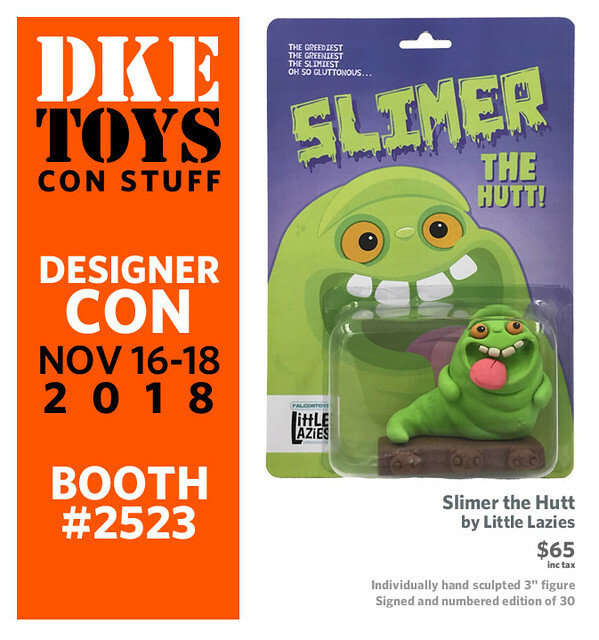 Come see DKE Toys at Designer Con 2018 at the Anaheim Convention Center booth 2523 November 16th-18th. If you can’t make it to Anaheim please email dketoys@gmail.com to be placed on a waitlist for any leftovers after the show. Falcon Toys originally created this mash up and gave Leah Lester permission to transform his character into the Little Lazies world. Exceptionally executed. Each 3″ piece has been hand sculpted by Leah Lester of Little Lazies. No two are exactly the same but they are so close to one another that it’s kind of hard to imagine that they aren’t cast and she made 30 of them!!! They are signed and numbered on the bottom of the figure and carded in a package she designed. Derrick Lauglaug, or more simply “LOG-LOG”, from DLL Customs put together a little art show for us with some of his very complex resin pieces. 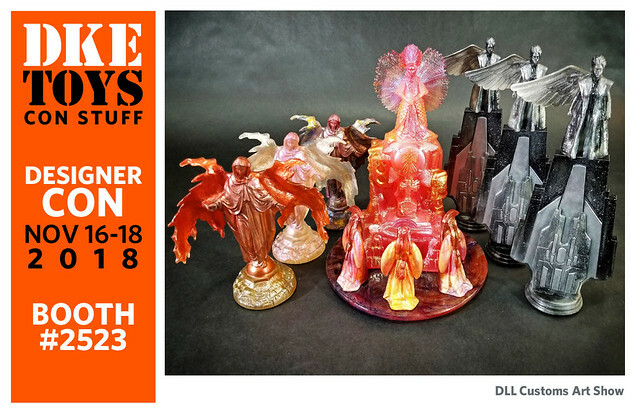 Bio: DLL Customs has been pushing the boundaries of the resin designer toy art world since starting up monthly releases in late 2013. Using innovative ideas and concepts, combined with a wide variety of themes, DLL continues to think outside the box and deliver unique products to resin toy art connoisseurs around the globe.